The job of installing an electric dimmer switch is easy and straightforward. These things can be fitted to any lighting fixture, provided that the amperage limit matches. For example, a dimmer switch of about 600 watts would be able to control as many as six incandescent bulbs of 100 watts each. Hence, the measure of watts must be obtained before moving ahead with the installation. Identify the lighting fixtures that would come under the control of the dimmer switch. Furthermore, note down the permissible power limits of each of these fixtures and find a final wattage value. This value would help you in buying the dimmer switch with the right wattage limit. Before you move ahead with the installation, turn off the main electricity supply. Locate the electrical fuse or the breaker box and switch off all breaker switches one by one. In case you have an electric fuse, pull out the fuse cover. Confirm the electricity-deprived state of the concerned circuit by using a voltage tester. Walk down to the affected electrical socket or receptacle and unscrew the cover plate. Observe the existing wiring scheme. Note down the wires that are connected to the two terminals of the old lighting switch. Furthermore, there could be a ground wire that is green in colour. Unscrew the wires from the terminals of the old switch and remove out the old switch. 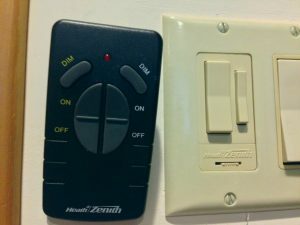 Install the universal light dimmer switch in such a way that the ‘line’ and ‘load’ wires connect appropriately. Also, remove the ground wire from the metal frame as well. Do not use too much force on the wiring scheme as that could damage the surrounding electrical components. The ‘load’ terminal corresponds to the lighting fixture. Hence, the wire coming from the concerned light fixture must be attached to the ‘load’ terminal. On the other hand, the wire from the primary circuit should connect to the ‘line’ terminal of the dimmer switch. Restore the state of the internal wiring by tightening the screws of the switch terminals. Place the cover plate on the socket and tighten the bolts. Turn on the main electricity and check the normal operation of the new dimmer switch. Control the dimmer switch and observe the functioning of the lighting fixtures. Before you even think of installing a universal light dimmer switch, you must locate the right supplier to ensure that you have the best quality switch. With quality materials, you will be sure it will serve the intended purpose and for an extended period. There are many suppliers online, so getting a reputable one will not be a problem. Slimline rainwater tanks are the newest rainwater tanks in the market today. They have a wide variety of advantages compared to the conventional water tanks. They have been designed to occupy minimal space and therefore suitable for residential and commercial properties. These tanks are the thinnest ones available in the market. While installing them, slimline rainwater tanks Adelaide are fixed using high ranking precision tools combined with materials of high quality, thus making the whole process easy to accomplish. These containers are readily available for installation and delivery in some parts of Australia. The areas include Adelaide and Melbourne. If you are interested in saving up your space and increasing functionality and accessibility, there are particular areas that you should install the tanks. – They can be fitted next to the fence within the compound, which ensures that it does not use up any other region that exceeds it. Doing this is made possible by its very thin nature. – It can as well be placed against the wall of the house. It can fit perfectly without protruding to the backyard. It increases your access to it at any given time. -You can decide to form a courtyard with it at the centre. Doing this increases its functionality without interfering with your outer courtyard. The reasons why you should choose these tanks are quite a number, but we can mention just a few of them. They have a range of sizes available that add up to three different types. You can choose the best one that suits your needs. You do not have to get stranded at the shops since you won’t be stuck with just one type. Ascertain that you settle for the size that will fulfil your needs. They are the only water tanks that have been designed by engineers with an option of creating vertical gardens which are fitted with an integrated system of irrigation. They can be used as single water storage tanks and function normally and give excellent results as opposed to the other tanks. They can also be installed as multiple water containers especially in commercial properties. This feature makes them stand out among other water tanks that are available in the Australian market. When you decide to install the slimline rainwater tanks, you need to hire the right experts. 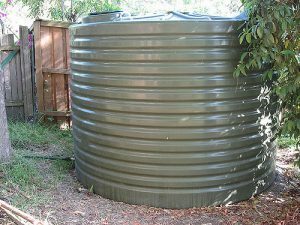 You can contact h2orainwatertanks.com.au – slimline rainwater tanks Adelaide. They are experts that have served this industry for many years now. With their experience, they know what tank is better for you based on the space and budget available. Contact them today and have a new rainwater tank installed in your property at a pocket-friendly price. * People usually assume that the every person labelled as a makeup artist has the talent to give you that alluring bridal look. But, not everyone is professional, and not everyone can ensure providing satisfying results. To expect the best from your makeup expert, make sure to consider the level of professional skill of the individual. The one you choose for your makeup needs should have a good experience in this field. An experienced and skilled professional can help you get a gorgeous look using the most appropriate techniques and applying the perfect colours and textures that compliment your skin type and skin tone. * When considering a makeup professional, it would be a good idea to take a look at their portfolio of bridal images. Doing this will help you get an idea about the reliability of the professional. It is important that the artist is capable of giving you a look that goes best with your gown, hairstyle, and the colour of your bouquet. * Make sure that the makeup artist you are hiring has an attitude that puts you at ease. 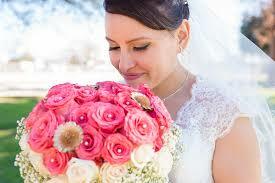 The makeup expert should let you feel comfortable so that you do not need to face any stress on your wedding day. The artist should meet you previously to discuss everything regarding your bridal makeup. There are many beauty salons in Adelaide that you can approach for your makeup needs easily. If you are looking for an Adelaide bridal makeup artist, then you do not need to worry. There are many reputed makeup professionals available in Adelaide, and you can simply get in touch with one of them and can get excellent services with ease. Just make sure the expert you are hiring is a professional for professional services.